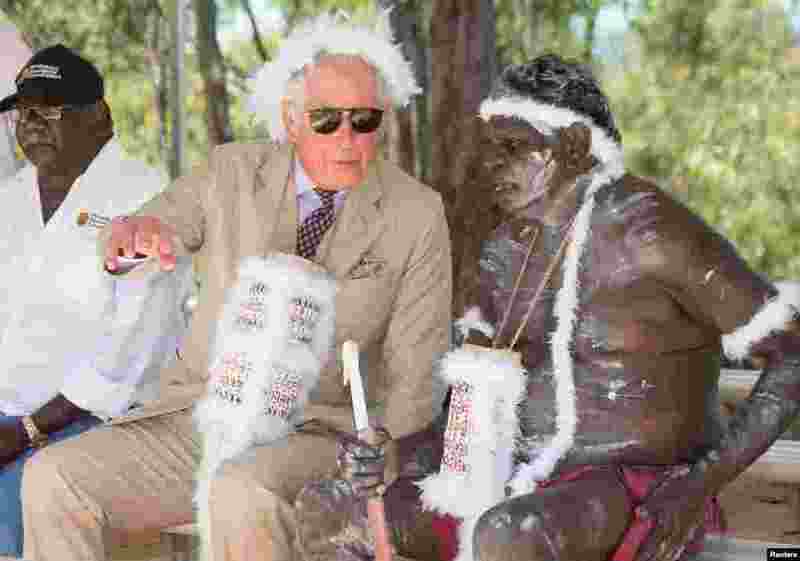 ١ Britain's Prince Charles visits Mount Nhulun for a ceremonial welcome with leaders of the Dhimurru and Rirratjingu Aboriginal Corporations, in Australia. 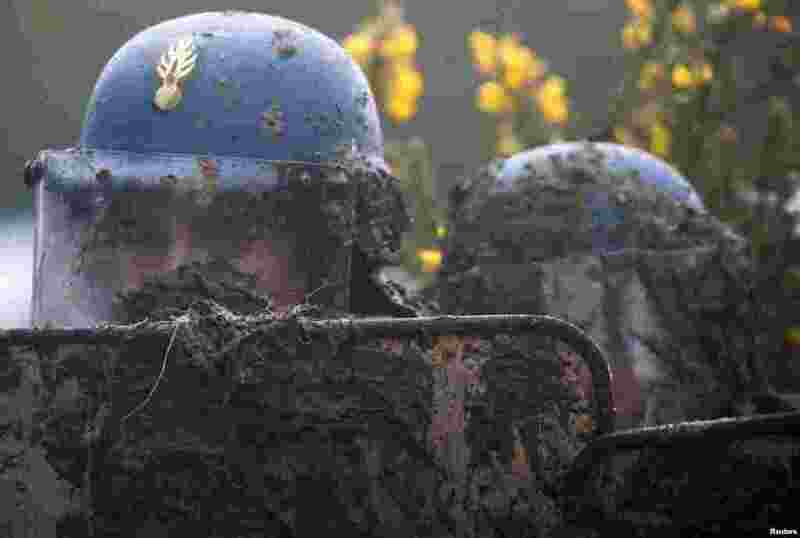 ٢ A French gendarme holds his mud-splattered shield during an evacuation operation in the zoned ZAD (Deferred Development Zone) in Notre-Dame-des-Landes, near Nantes, France. ٣ Actress Nicolle Rochelle, who appeared on several episodes of "The Cosby Show," is detained as Bill Cosby arrives for his sexual assault trial at the Montgomery County Courthouse, in Norristown, Pennsylvania. 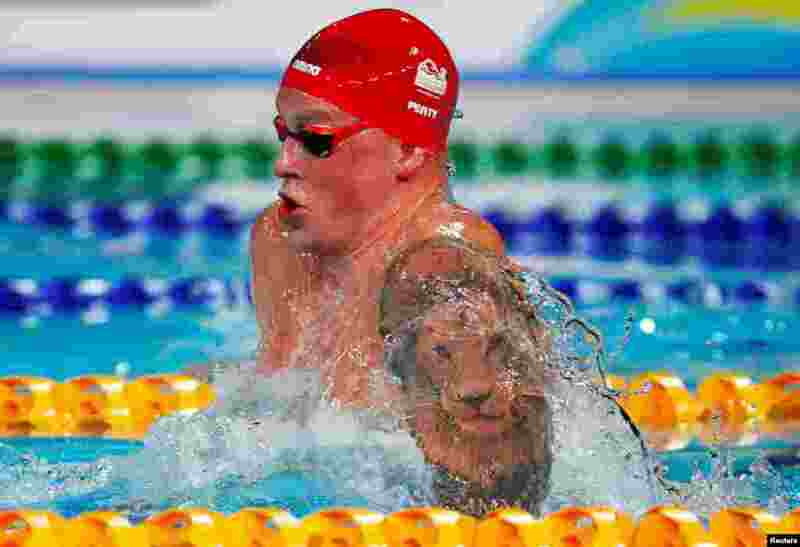 ٤ Adam Peaty of England competes during the men's 50m breaststroke final at the Optus Aquatic Centre in Gold Coast, Australia during the Gold Coast 2018 Commonwealth Games.